The man-eater leopard shot in the Dhadhol area of Bilaspur district last week is likely to make it to the Guinness Book of World Records as it is probably the longest big cat in the world measuring 8 feet 7 inches. 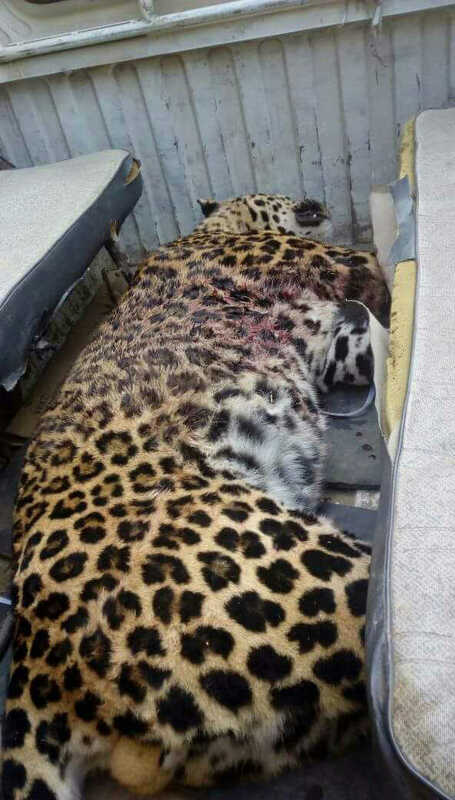 The leopard, which was shot by shooters of the Forest Department after it had killed one person and attacked others, will now be preserved and stuffed for study and research purposes. “We are sending the case to the Guinness Book of World Records as it is believed that the record for the longest leopard in the world so far was 8 feet and 2 inches,” said Tarun Kapoor, Principal Secretary, Forest and Environment. He said experts who specialised in preserving and stuffing the body had been summoned so that the leopard could be kept for study purposes. He said it weighed 71 kg and had killed 46-year-old Tilak Raj on November 26, forcing the wildlife staff to eliminate him. Since the animal had injured his left leg, its elimination was being considered necessary. It was in June 2004 that a survey was undertaken to assess the leopard population in the state which turned out to be 785 which included 24 animals in captivity. The population of snow leopard was estimated to be 35. Eversince there has been no scientific estimation, but considering the frequent attacks by leopards, the wildlife experts feel there could be an apparent increase in their number, which would be known exactly only through their estimation. The Forest Department has been contemplating undertaking a population estimation exercise of leopards in the state which could be held next year. Considering the frequent attacks by leopards, the department has assigned the task of mapping the leopard population in Himachal to a Mumbai-based wildlife biologist, Dr Vidya Athreya, working on leopards outside protected areas. The department has also undertaken radio collaring of 10 leopards in different parts of the state to study their behaviour and to assess the reasons for the man-animal conflict. According to data available with the department, a total of 30 persons have been killed by leopards between 2004 and 2014, while 90 have sustained grievous injuries and 237 minor injuries. The maximum number of seven deaths took place in 2007-08 followed by five in 2009-10. The highest concentration of leopards in Himachal is in the districts of Mandi, Bilaspur and Hamirpur.